Nowadays we've got TV sets in almost all the rooms of our house. But it may happen that there's something you want to watch and you're without a TV. In that case, you can resort to your computer to watch whatever program, show or movie you fancy. 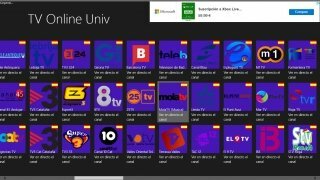 TV Online Univ, available for both Windows Phone and Windows 8.1, and as a universal app for Windows 10 and Xbox One, allows you to watch over 900 public and private channels from loads of different countries. 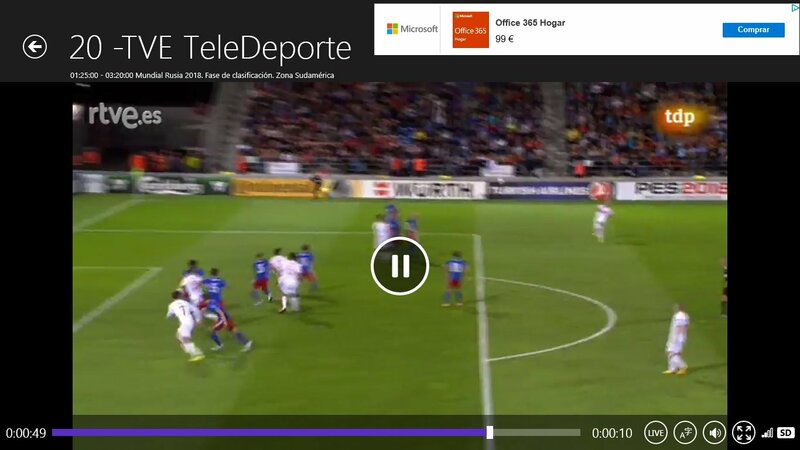 Get ready to watch terrestrial digital television on your PC. Watch almost all the channels available in Spain, France, Italy, Mexico, Argentina... for free! Search for the channels you like the most, check the TV guide, select the automatic shutdown time with the timer and schedule notifications to not miss out on the start of your favorite programs. 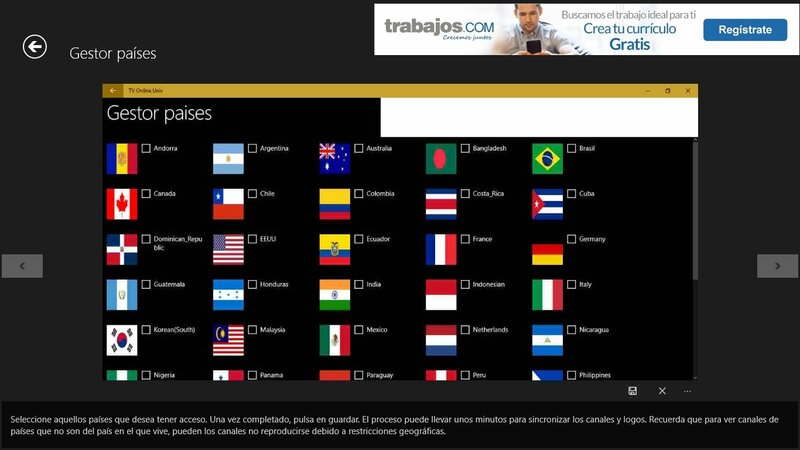 Choose the language (provided that there are several available), pause your channel, and continue watching whenever you want or go straight to the live broadcast. 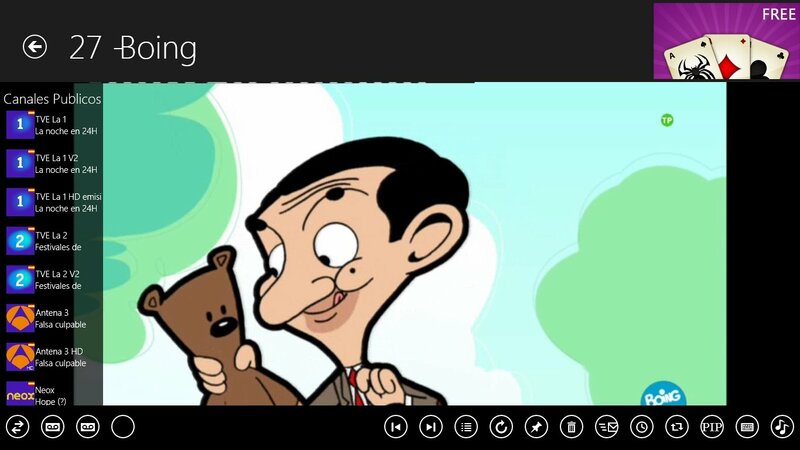 You can also flick through the channels like on your traditional TV and watch and record two channels at once. 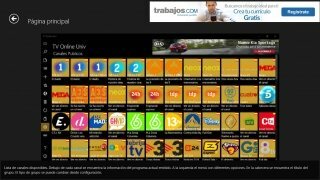 How to add channels to TV Online Universal? You can create your own lists by adding the channels you like the most. How? Go to the main menu and right click with your mouse. 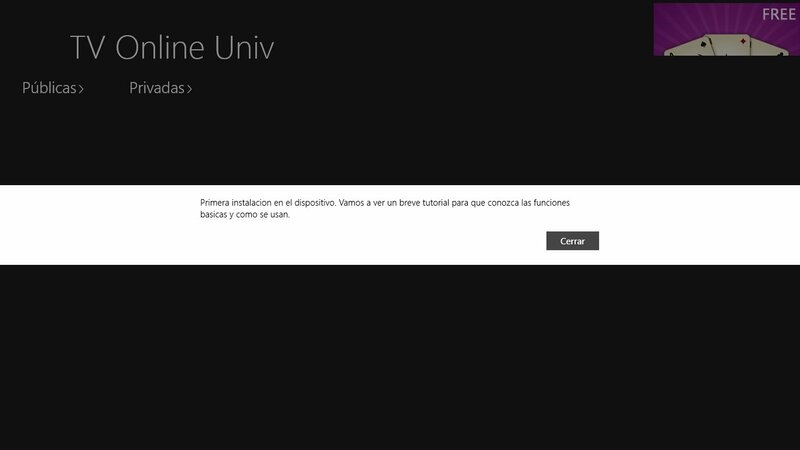 Press the 'Add' button with the + symbol. From there you can add channels or full lists by pasting their URL. Fill in the empty fields and follow the steps indicated. 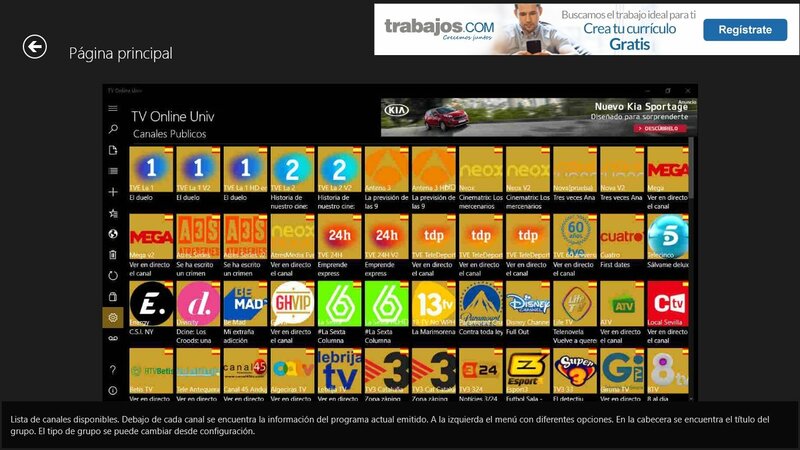 To manage the channels, right click from the main menu and access the option called 'Manage channels'. If you want to add a channel that's not available, the developer kindly asks you to get in touch with him to see what he can do about your request.